I've decided to try something concerning the LES. Like anyone who's flown a rocket with a tower, you're bound to break these things off. 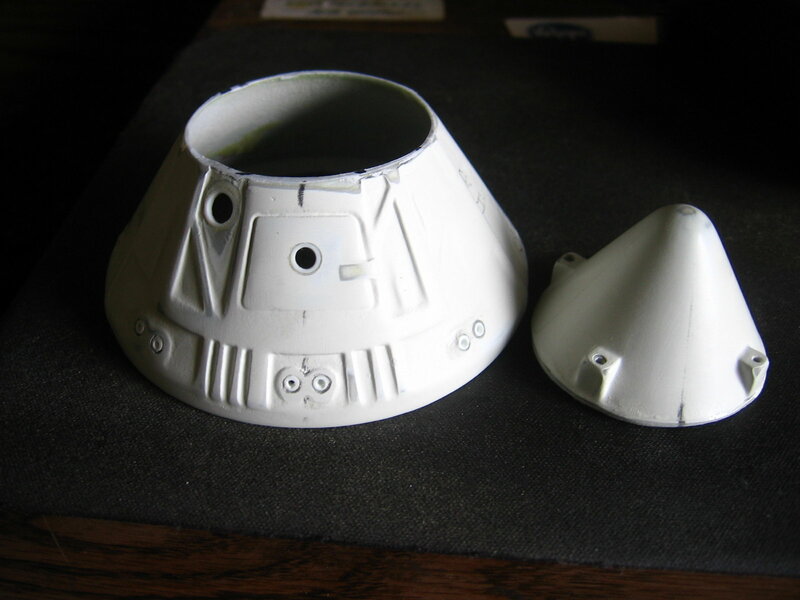 I'm going to use magnets in the capsule to hold the upper section with the LES on. 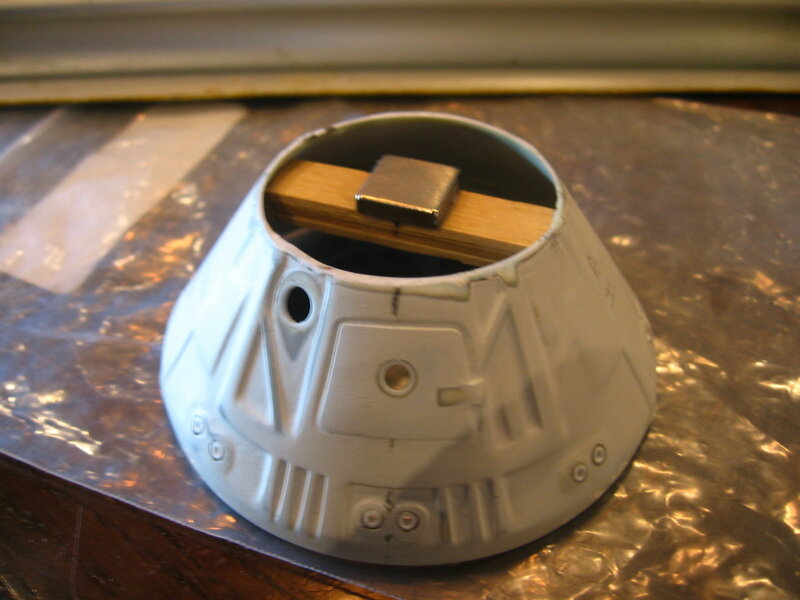 The top of the capsule is done in the same way.